Old dressers often have drawers that simply pull right out on side-mounted slides, but newer ones, made from about the mid-20th century onward, usually have side tracks or glides and stops. 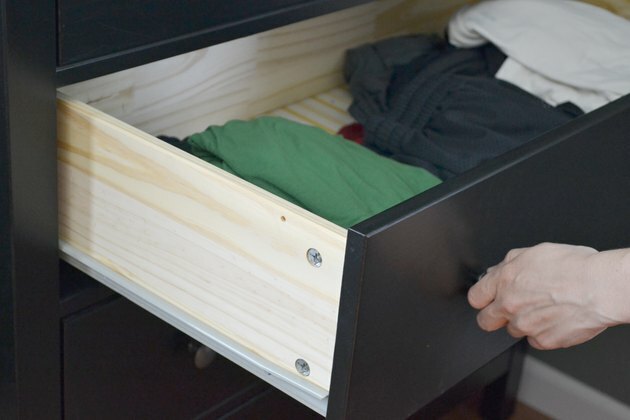 These opening stops keep drawers from coming out of the dresser body or case and crashing to the floor -- or possibly on your feet. 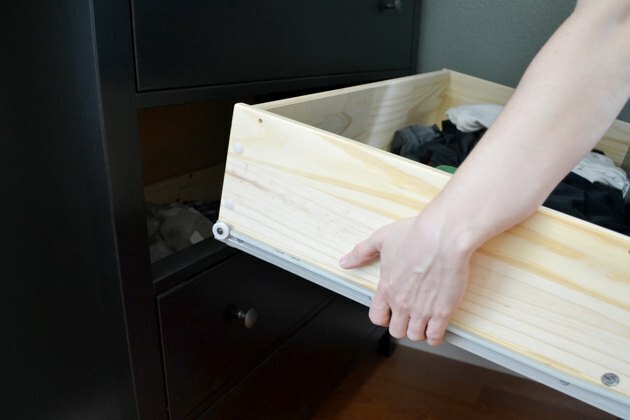 Unlike desk or kitchen drawers that typically lift off roller-style hardware or tracks, dresser drawers can be a bit complicated to remove, but only until you know how. Pull the drawer out as far as the stops allow. 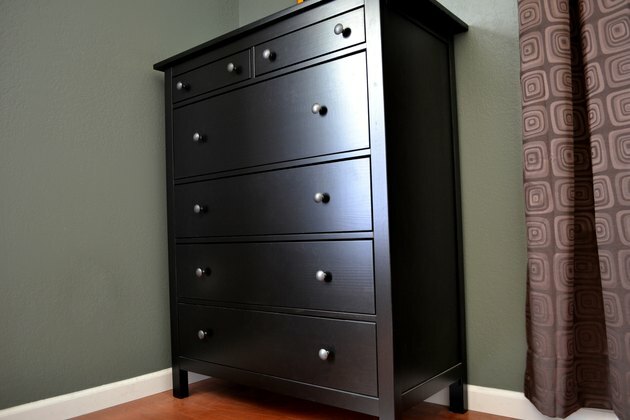 Examine the tracks along the bottom edges of the drawer sides. 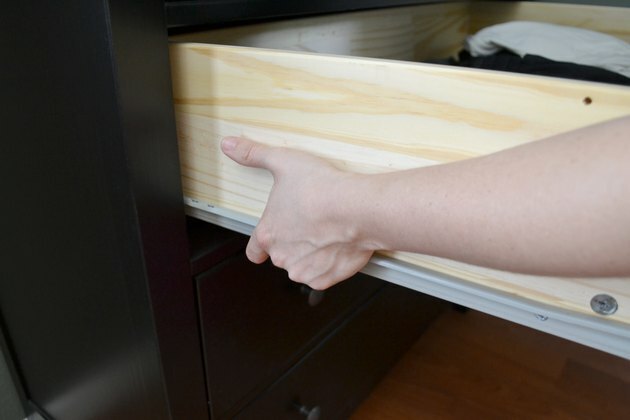 Look for stops or small tab-like latches that you can either push in, push down or push up to "unlock" the drawer from its track. Stand in front of the drawer. Grasp the bottom with each hand near a track stop. Use your thumbs or pointer fingers to depress the tabs. Pull out the drawer.